Expose unauthorized access to your customers’ online accounts to stop cybercriminals before they attack. Online customer accounts are a serious target for sophisticated cybercriminals looking to commit unauthorized transfers and harvest data to perform numerous types of fraud. Verafin uncovers unusual online activity that indicates a potential account takeover. Customers’ online accounts are analyzed for a wide range of abnormal activity, alerting you in time to prevent loss. Verafin analyzes your online banking system logs to create a digital fingerprint for each of your customers based on their online account usage. Each customer’s unique online identity consists of numerous factors including IP information, ISP, device used during online session, regular web browser, and more. You are alerted when a session deviates from the fingerprint. Verafin’s online account takeover alerts include tools for viewing a customer’s online events and visual maps showing the geographic locations of new IP addresses and the customer’s home address. These tools help you determine if the online activity you are investigating was performed by your customer — or a cybercriminal. As outlined by FinCEN in its 2016 Advisory to Financial Institutions on Cyber-Events and Cyber-Enabled Crime, FI’s are expected to report cyber-events. Verafin’s SAR functionality makes this seamless. Generate an auto-populated SAR directly from a case. Complete your Narrative with the help of the investigative notes and findings you have saved in the case and e-file directly from Verafin to FinCEN. Discover potentially compromised online accounts before cybercriminals attack, saving both your customers and institution from losses. 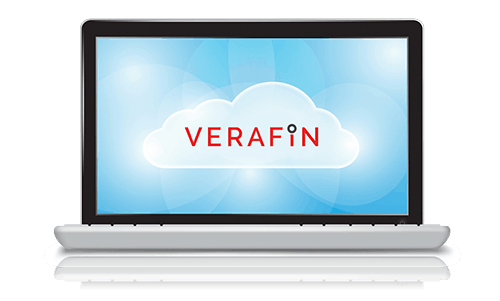 Online account takeover alerts in Verafin provide investigators with a wealth of important login and IP information. At a glance you can see the address, geographic location of the IP used to log into the account, the provider, and the level of riskiness associated with that provider. In addition, a customer’s digital fingerprint can be used to enhance investigations into other types of suspicious activity, such as mobile deposit fraud. Verafin’s multi-channel analytics give you a more complete picture of account activity. Go beyond the analysis of a single channel to uncover a wider range of potentially suspicious activity that would be invisible if relying on a siloed solution. Interested in learning more about Verafin's Online Account Takeover Solution?